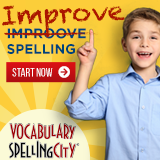 It’s so freeing to hear your thoughts about the effectiveness of a more informal education! 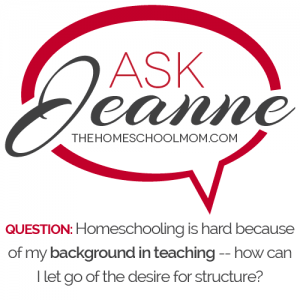 I have realized that homeschooling is hard because of my background in teaching elementary school. It’s hard to shake away from formal lessons and expected structure, but, when I do, my active 6yo boy thrives! Ah yes. All my elementary teacher friends say that this is the hardest thing for them. You are in good company here. Try to think about how much you did in a classroom was because you were in a classroom — with 25 kids who had to get through a set curriculum. You are now in a situation where you can take the time to let the education be determined by where the child is and let the learning come to him on that basis, rather than forcing the curriculum into the child. As Yeats said, education is not about the filling of a pail, but the lighting of a fire. In a classroom setting, teachers have to try to fill those pails with lessons and curriculum. But you have the privilege to light the fire! With educating only your own children, you do not have to worry about him getting behind in terms of “standards.” Those standards in schools and in curricula are minimum standards. Instead you can focus on potential. If you light the fire, he will move to potential, which will be far above minimum standards. Now will you ever want to use curricula? Yes, maybe you will. It is not that this never works. It is that for some kids at some times, it is like using the wrong tool for the wrong job at the wrong time. Here is a favorite silly quote of mine: “Learning can only happen when a child is interested. 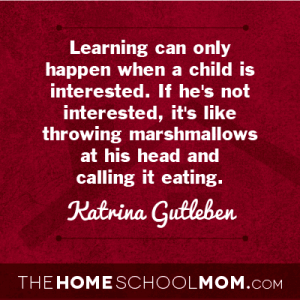 If he’s not interested, it’s like throwing marshmallows at his head and calling it eating.” ~ Katrina Gutleben (My friend Stephanie Elms liked this idea so much, her own blog is called Throwing Marshmallows). As parents who were educated in the school system, and as teachers who taught in it (if we did), we really have to “de-school” ourselves. We have to figure out what creates learning in our children, because that is where the effectiveness of homeschooling lies — not in doing things in the exact same ways that they are done in school. For an active six year old boy, I’d recommend miles of outside time, even when it’s very cold, miles of hands-on building and projects, miles of field trips, miles of interesting conversation, and miles of library trips for books that the other stuff creates interest in. 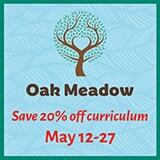 This is the “secret” of how homeschooling works! I wrote a series of five blog posts on Parental Deschooling. Start with this one, Finding Your Non-School Normal. These posts are directly related to your questions, and they were written because you are not alone! So many people who begin homeschooling (especially former teachers) find it is not what they expected, and they find they need to adjust their approach to get the most out of the experience.